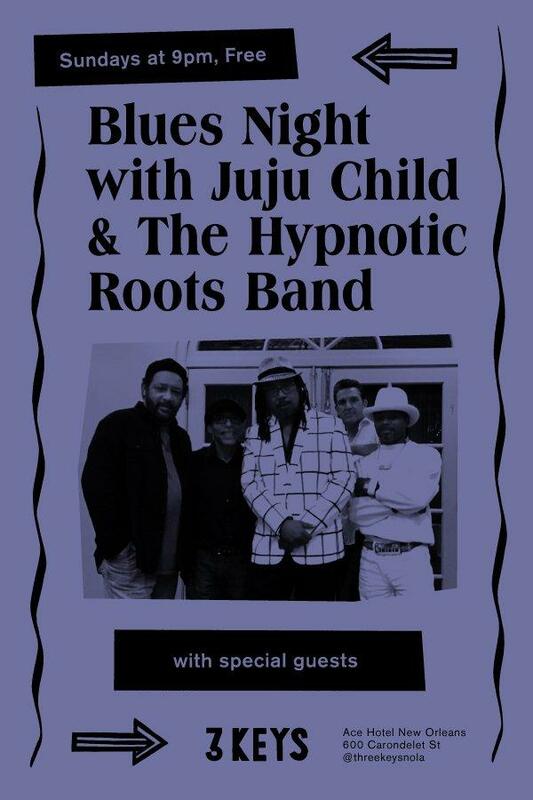 Producer / singer / songwriter / guitarist Juju Child is an authentic bluesman who combines traditional African music with the boogie of New Orleans, the results of his roots in soul music. He started the guitar at a young age growing up surrounded by a family of gospel musicians and singers. Come over every Sunday for a night of good old fashioned blues.